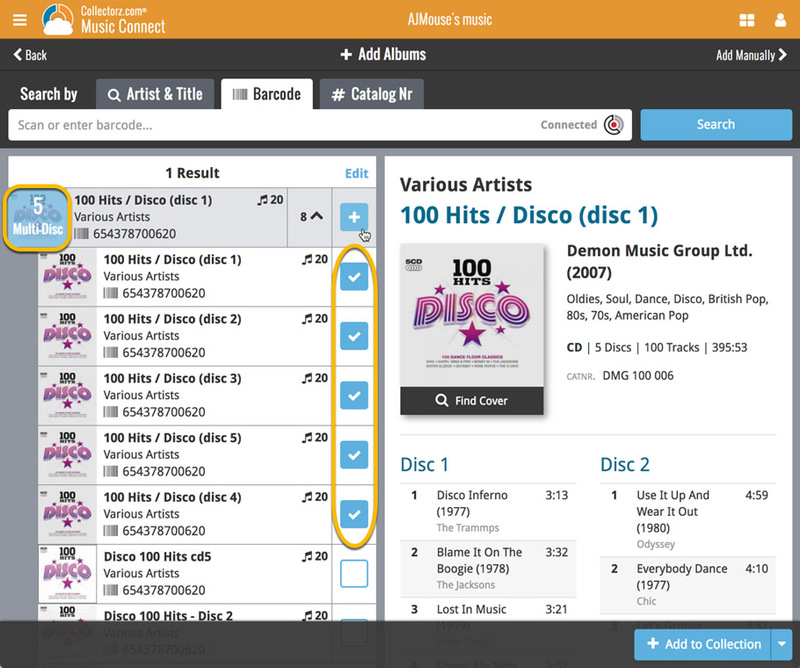 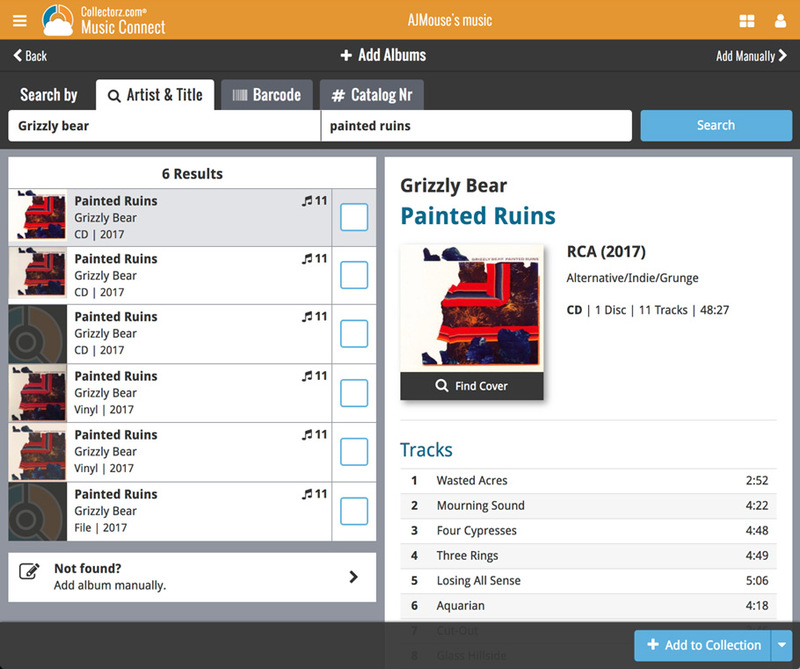 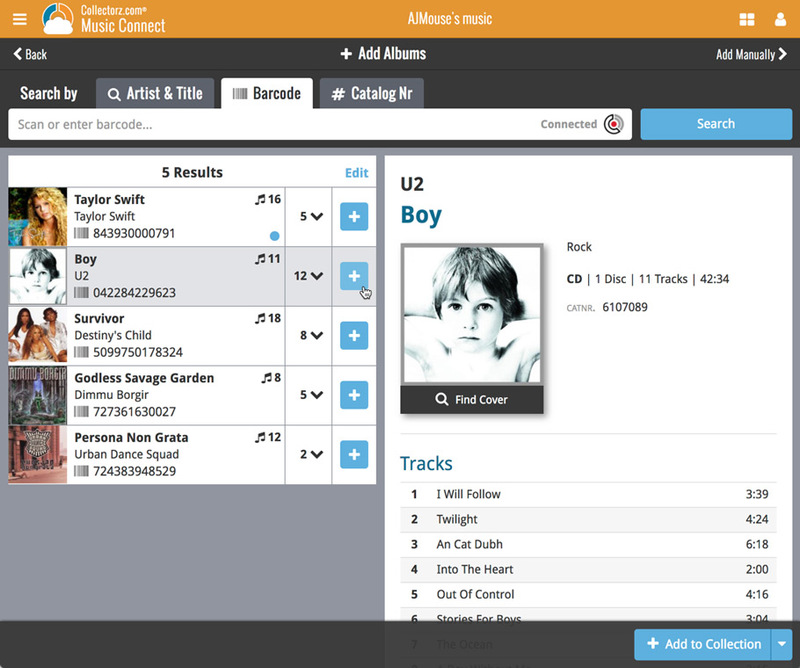 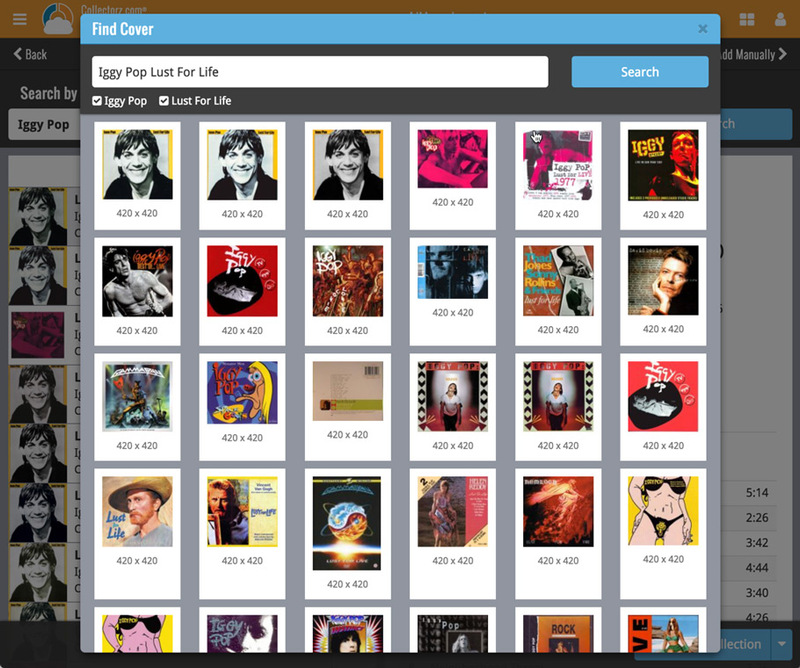 Now live in your Music Connect software, a complete re-design of the Add Albums screen, with a new look, easier interface and new features. 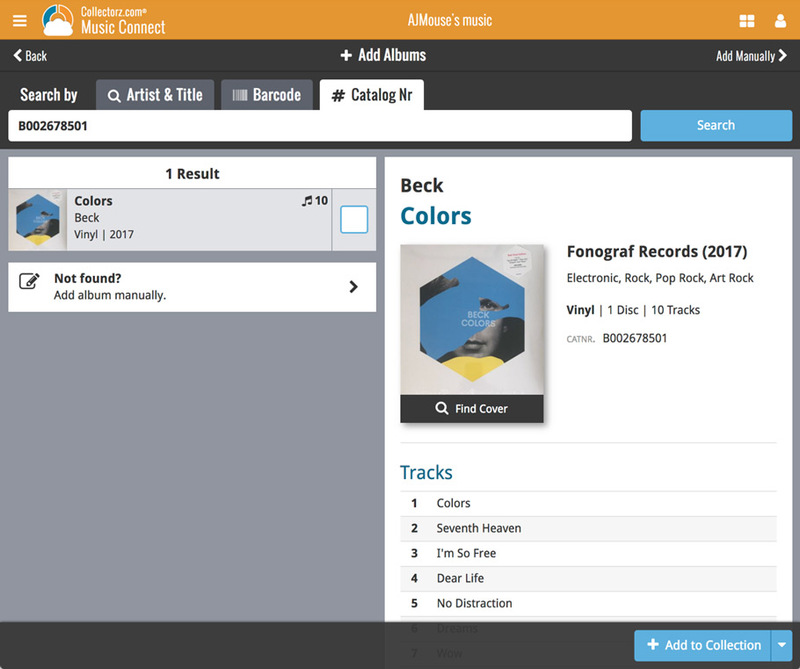 Scanned barcodes will be automatically added to your queue, with the album information populating instantly. 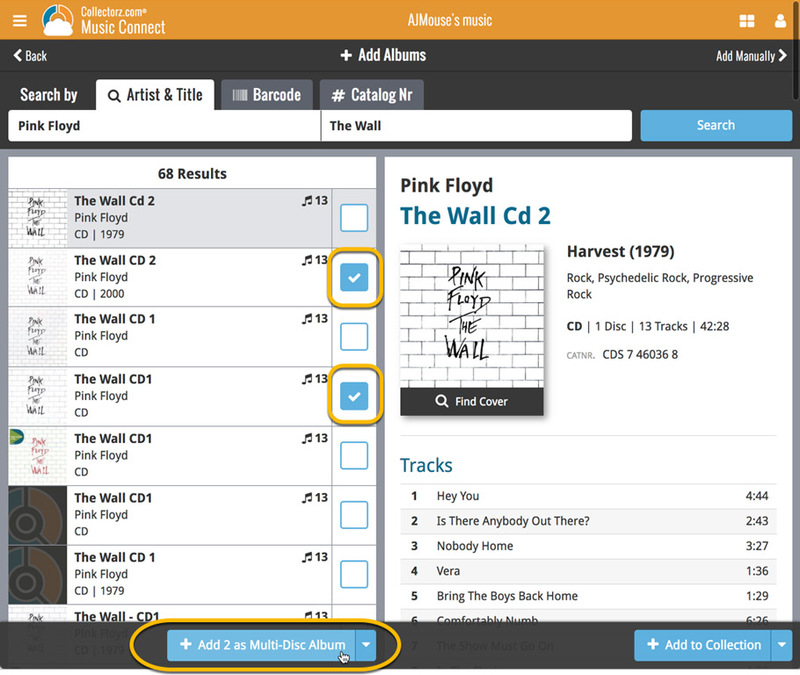 Use the big blue Add to Collection button at the bottom right to add the selected album to your database, OR use the little blue “+” buttons to add straight from the queue.